For 30 years, the Latina/o Studies Program (LSP) has been a hub for research and community. To celebrate the anniversary, the program has launched the “Let’s Dream Together” crowdfunding campaign to raise $20,000 in support of LSP students. 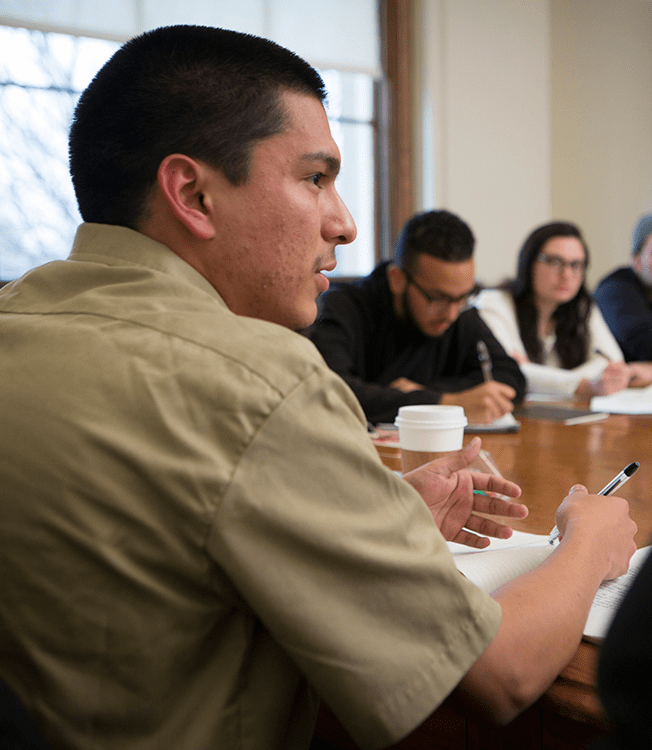 Donations will be used to support student research and conference participation; provide book awards for LSP courses; provide commencement stoles; support the Mi Comunidad graduate-undergraduate mentoring program and Latin@s Thrive! advising series; and support community engagement and collaborations with the local community. Castillo described LSP as a “dynamic community,” encompassing students, faculty and staff from diverse backgrounds and reflecting the heterogeneous Latina/o population in the U.S., which today totals more than 55 million. The program also offers safe spaces and support for undocumented students, giving students a place to share their fears and frustrations, as well as their hopes. Campaign organizers also emphasized LSP’s importance as a research center. In addition to providing a collaborative hub for faculty, LSP supports student research with academic support services, meeting and study space, a library and a computer lab with printing services.